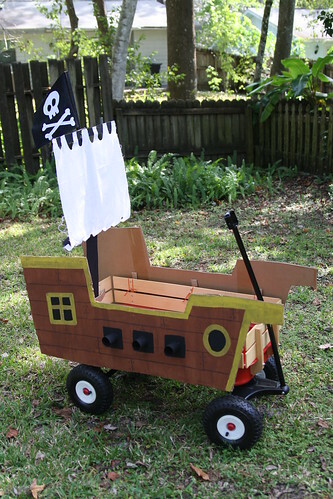 So my little pirate needed a ship. We ordered new patio furniture about a month ago. A love seat, two chairs, and a coffee table all got shipped in one box, one really giant box. It was quite cumbersome for getting off our front porch but that giant 5' x 5' box is perfect for things like castles, forts, and pirate ships! 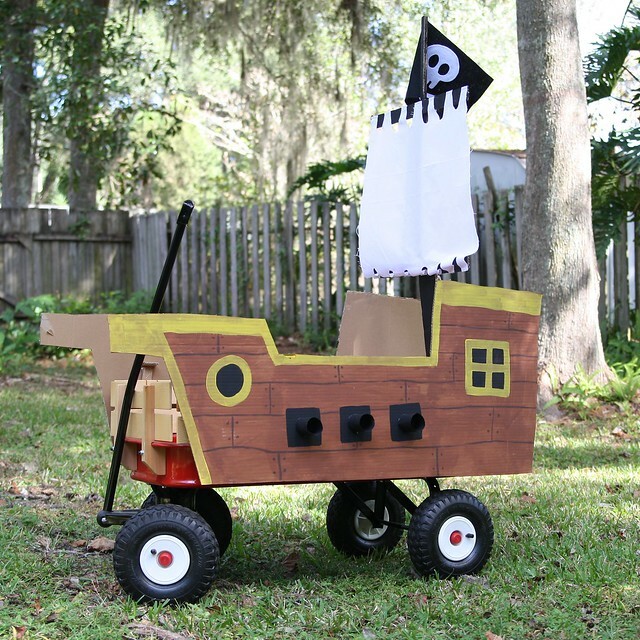 This pirate ship is just cardboard, paint, a bit of fabric, and a lot of hot glue. I drew my ship on the cardboard and cut it out. Then I painted the ship with acrylic paints. 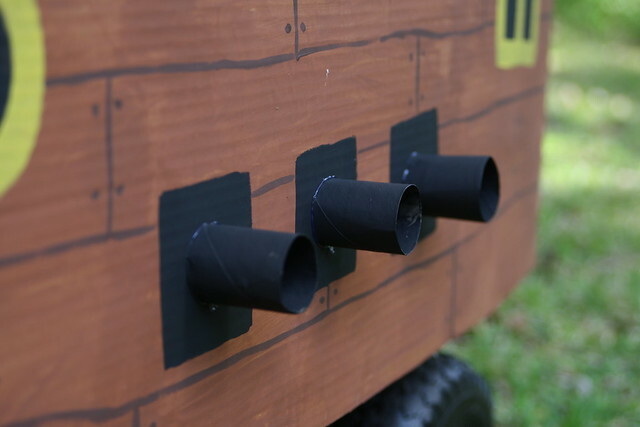 I made canons out of paper towel rolls and attached them with hot glue. 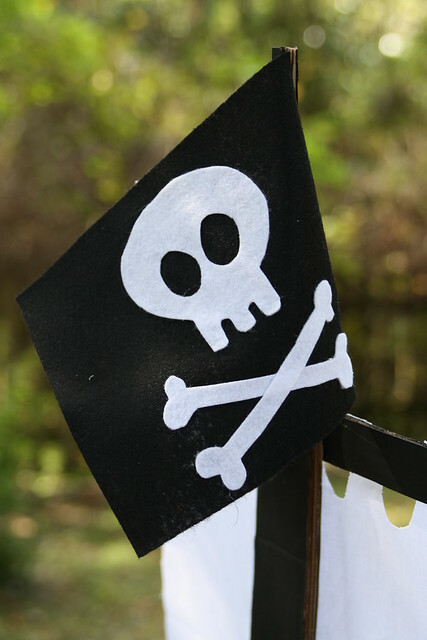 The Jolly Roger flag is made of felt, I cut out the skull and cross bones and hot glued it on. 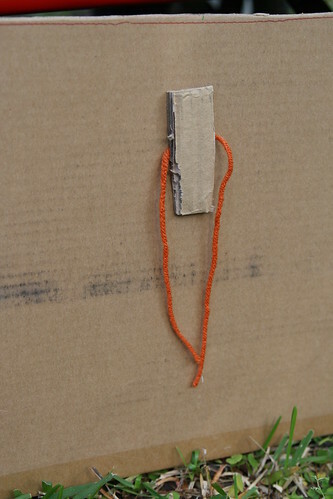 The sail is a scrap of white fabric, again hot glued in place. 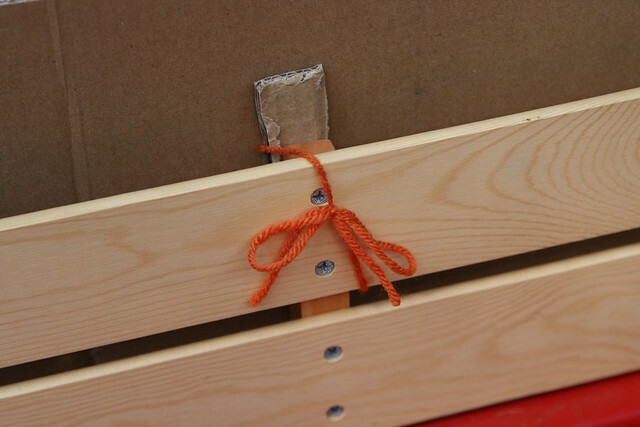 To attach the cardboard to the wagon, I glued some yarn on the back and covered it with cardboard to make sure it stayed in place. Then it simply ties on. I can't wait for trick-or-treating tomorrow! 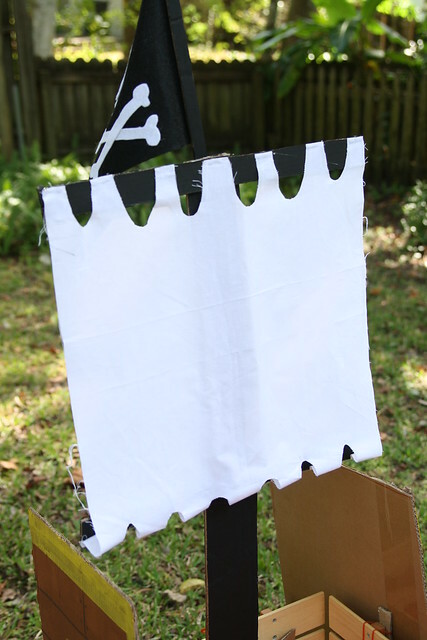 Check out my kids Halloween costumes HERE and HERE.